The album Meteora topped the Billboard 200 chart in 2003 and is regarded as one of the biggest indie rock records of all time. The band had been due to begin a tour next week. For a generation growing up in the early 2000s, it would have been hard not to find someone who didn't own a copy of the band's debut album Hybrid Theory. It's sold more than 30 million copies worldwide and remains one of the biggest selling albums released since the start of the millennium. Linkin Park's successful trick was to fuse elements of metal and rock with rap and hip-hop to shape the nu-metal genre on songs such as Crawling, In The End and Numb. Arguably their biggest asset was Chester's powerhouse voice. He had a huge, raspy vocal which suited their stadium-filling, singalong anthems. Whilst his vocal persona could be described as angry and harsh, in person he was warm, articulate and funny. 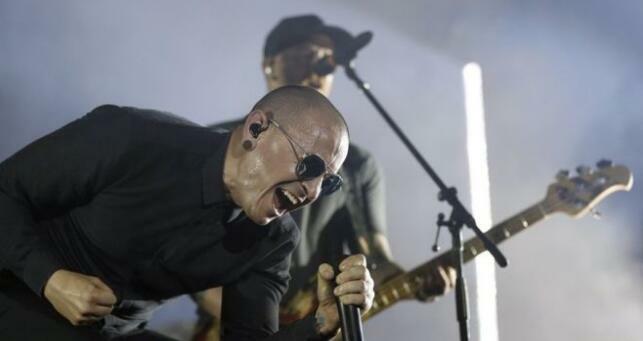 The band's most recent album, One More Light, saw a different direction as they worked with prolific pop songwriters Julia Michaels and Justin Tranter - and collaborated with UK grime artist Stormzy. He leaves a wife, and six children from two marriages. The singer is said to have struggled for years with alcohol and drug abuse, and has talked in the past about contemplating suicide as a result of being a victim of abuse as a child. Bennington wrote an open letter to Chris Cornell on the latter's death, saying: "You have inspired me in ways you could never have known... I can't imagine a world without you in it." Cornell would have celebrated his 53rd birthday on Thursday. He hanged himself after a concert in Detroit on 17 May. Band member Mike Shinoda confirmed the news of Bennington's death on Twitter: "Shocked and heartbroken, but it's true. An official statement will come out as soon as we have one." Tributes to Bennington flooded in soon after news of his death. The band Imagine Dragons tweeted: "no words, so heartbroken. RIP Chester Bennington." Grime artist Stormzy, who collaborated with Linkin Park earlier this year, tweeted: "Bruv I can't lie I'm so upset serious."